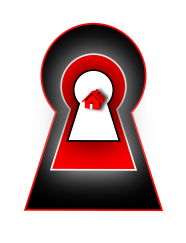 Within this page there is stacks of Home security information to help you improve the security of your home. 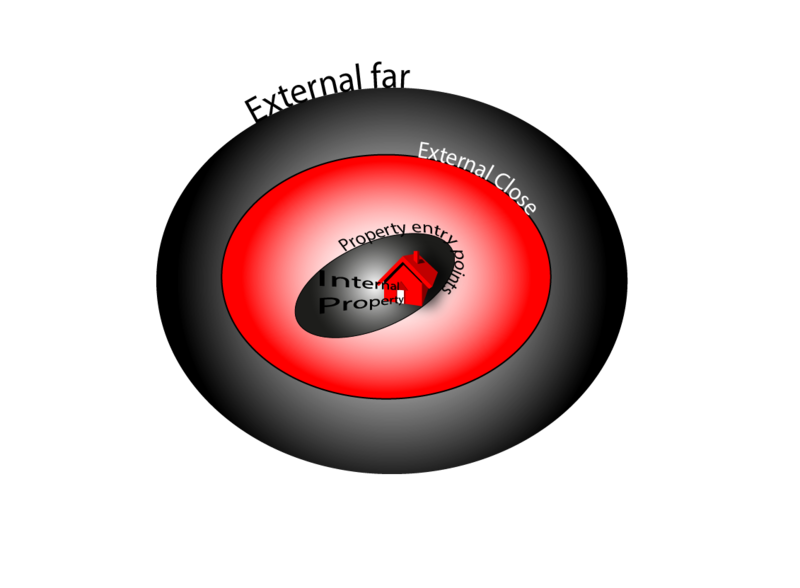 You can divide your property down into 4 zones. Each zone has different areas of security that could be improved to help prevent an intruder. This is the view point of your property from across the road or any view point of your property but not on your own land. On your driveway or the back end of your garden, on your land. Doors and window and any other entry point into your home. The security measures for external far are all visual. What can a possible intruder see when looking at your property? Can they see open windows? Is there an alarm box on the outside? Are there any lights on in the property? External close cover the same points as external far but now the possible intruder has set foot onto your property boundaries. 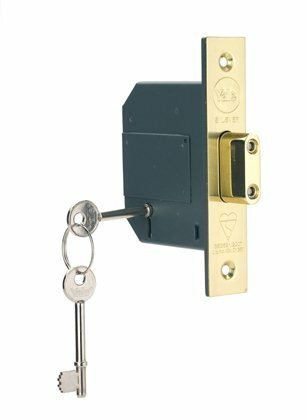 Are your side gates locks? You could fit plastic spiking to the tops of gates and fences to prevent climbing of. Security paint is great for the tops of fence lines and tops of walls. It stays wet and intruders will hate to get covered in it and will think twice about going over your wall or fence. CCTV can be another great deterrent and with some of the new systems you are able to link this to your smart phones allowing you to look at your property from anywhere in the world. 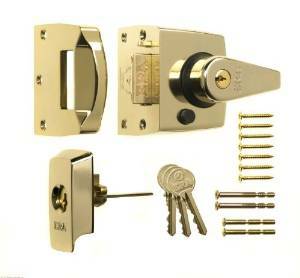 Now we are dealing with the locks and locking mechanisms for your doors and windows. At a basic level, are they up to insurance standards? What are the weak points around your property? If you have a UPVC door or a door that has a multi-point lock in it you will more than likely have what is called a euro cylinder in the door. For insurance all is required out of these cylinders is that it has 5 or more pins in it. If you wanted to improve on that we would recommend an anti-snap cylinder with a restricted key. Meaning if someone attacked the cylinder it would prove to be a lot harder to break and if it does get snapped, it snaps in a position that maintains a wall of security between them and your locking mechanism. With regards to the restricted key these are great to maintain control of who has a key and how many keys are in circulation. You require a code to get a key cut so if you hand a key to someone, once you have had that key returned to you, you can be curtain that they have not got another key cut. Other weak points could be patio doors. 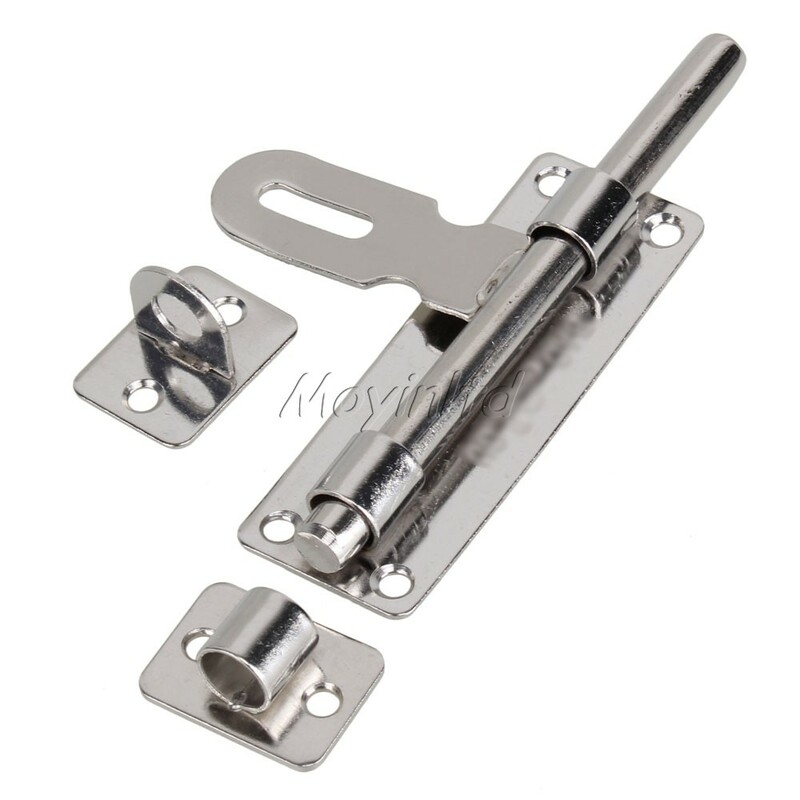 The older style sliding patio doors could sometimes be lifted off there rollers so extra keyed bolts may be a great solution to prevent this from happening and the bolts can also help bring the older doors up to insurance standards. There are now security peep holes and door bells on the market. Some are fitted with cameras that record anyone that has rung your door bell these among others are great ways to add other layers of security to your home. Unfortunately if someone really wants to get into your property they will. And if they do you are now working with your last line of defense. Do you have an alarm? Making the intruder feel uneasy and uncomfortable is a great start and having an alarm going off waking up the street is a great way to make the intruder uneasy. Keep your keys in a safe place away and out of site of the doors. It’s a common practice for an intruder to break into a window and then find your spare keys in order to leave via a door and even return back and use a key to get in easier the next time. Internal locks- fitting of locks on doors inside your property are a great way of slowing down the intruders. Yes they have managed to get though an external door or window but now they have to get though another half a dozen internal doors. A home safe is a great and affordable way to store important documents and valuables. The safe can be secured in a discrete place and can not only protect from an intruder but also fire. You can ID these locks normally by looking at the plate by the bolt. They normally have 5 LEAVER written on it. Multi-point locks come in all shapes and sizes. But 99.9% of them have a metal strap that runs from the top of the door down to the bottom of the door. 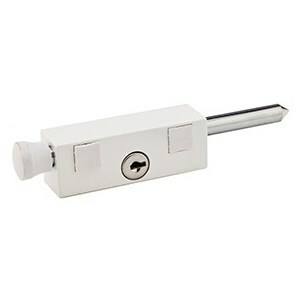 High security night latch is larger than the standard night latch. They normally have a anti drill disk on the outside and a key lockable part on the inside. This check list is mealy a guild to help you find any possible weak areas of security in your home. Take yourself to the outside of your property and ideally across the road. Did you know that if you had the wrong locks on your door it could invalidate your contents insurance? 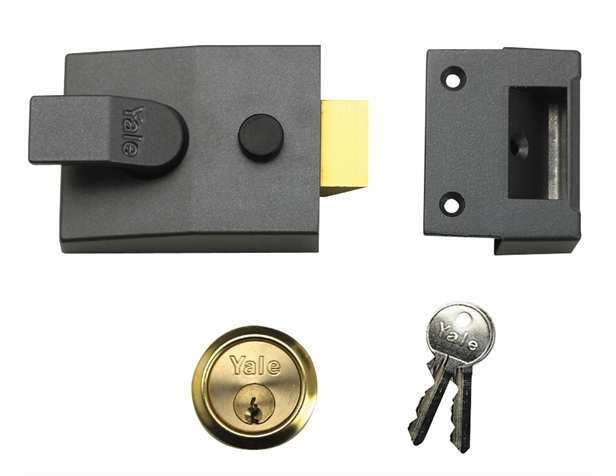 Can you tell the difference between a mortise dead lock to a multi-point locking system? Or a British standard night latch to a standard night latch? Ok so you may have seen that little list on your insurance renewal but what does it all mean? 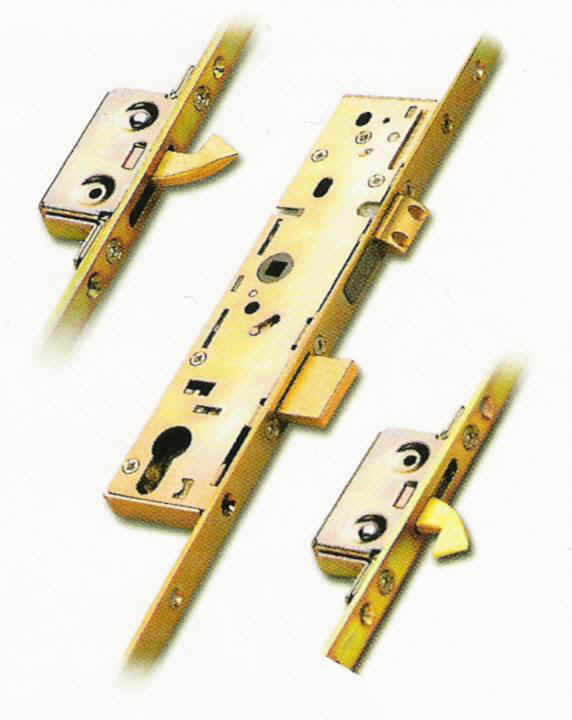 There are hundreds of different mortise locks available, but the most common are the 2 lever, 3 lever and 5 lever. Inside the lock case there are levers that all get aligned when you put the key in the lock and this allows the bolt to move across and open. 2 and 3 lever locks are more suited for internal doors. You can check your locks by looking at the side of the lock where the bolts comes out. It should have a number on there detailing the amount of levers it has. These locks are the ones that appear in the UPVC doors and composite doors. If you’re not sure if you have this type of lock, open your door and look down the side of the door. If you can see a metal strip down the door with hooks, rollers, bolts etc. this is a multi-point lock. These locks are insurance locks but are only as strong as the cylinder that locks the door. Although a 5 pin euro cylinder is all that is needed for the multi-point locks I would highly recommend are anti-snap cylinder. Please see a link to the recent blog about anti snap locks. Is your night latch a British standard one? Can you double lock it from the inside with a key? Does it have an anti-drill plate on the front of the lock? Here two night latches. The gold one is a British standard lock and the grey is just a basic night latch. Please note that you only need either a BS night latch or a BS mortise lock. You don’t require both for your insurance but it does no harm! There are many types on the market but as long as you have one at the top of the door and one at the bottom and they can be secured by a key your covered! As of late, home-owners have been warned by various police forces to be increasingly aware of the vulnerability of the current locking mechanisms fitted in front doors. There has been a sharp rise in burglaries using the method of “Lock Snapping/Cylinder Snapping”, which requires no specialist tools or knowledge and the West Yorkshire Force (Euro Cylinder Burglary Developments) have revealed that 25% of current burglaries have been committed using this method of entry. As an example, the area of Kirklees, West Yorkshire, is now recording a third of all burglaries being committed with entry being this method, we suggest all home-owners read their Crime Prevention Advice. Lock snapping is a method which involves breaking the cylinder, meaning it is possible to work the lock to open. It is common place to believe that the fact your door has multiple points at which it locks, means that the door is secure, however it is imperative you realise that all locks are operated by the one cylinder making it the weakest point and if broken then all locks are effectively useless. Previously this problem has been restricted to the Yorkshire area in the main, however we are now seeing the method adopted further afield and police from many different areas giving warnings. See the Thames Valley Police for more information who are providing advice on the issue. Lock Snapping / Cylinder Snapping prevention. With all of the information now reaching us from local authorities, we can conclude that this is a real threat to homes all over the country. It is important that you are aware of this threat, it is not something to be afraid of, just simply something to take action to prevent. Fitting a Diamond Rated Anti Snap Lock with high security handles will reduce the risk of the cylinder being snapped greatly. Where do you keep your keys at night? Do you even have a ‘Place’ where everyone in the house knows that this is where the keys are kept? This may sound like a strange question but it is very important when considering both the security and safety of yourself, your family and tenants that this question is answered. Here are a few fire related figures for 2011-2012 (2013 stats have yet to be released), in 2011-12 there were 308 fire fatalities in the UK, 76% of these were in dwellings and 53% were due to having been overcome by smoke, gas or toxic fumes. Now, this is by no means saying that all of the reasons were because the person/s in the household could not find their keys, but a percentage will be. Nowadays there are a lot more safety precautions in the new house builds, however there are a lot of doors that still require their door to be locked by key from the inside. In 2013, Milton Keynes alone recorded 1,667 burglaries. That is an average of 139 per month. Making sure that the security of your house is at it’s best is paramount. I don’t have the exact figures from these burglaries but you will all have heard a story of a burglar managing to reach in through a letterbox or cat flap and hook the keys for the house or the car from either the keyhole itself or a nearby table etc. So where do you keep your keys? My name is Dan Garside and I run GPM Locks. Our team provide locksmith and uPVC repair services and I have worked in maintenance and security since leaving school. Where you keep your keys is only one of the many different things you need to do, but it is most definitely one of the most important things to do. When advising on the best place to leave your keys I will always start by planting the idea of a hook, screwed into the top left corner of the inside of the door itself. This is known to all in the household and even guests as it’s almost impossible not to see or hear them when opening and closing the door. But most importantly it is almost impossible for a burglar to get to, they cannot see them, they cannot reach them and if there is ever a fire and the smoke makes it difficult to see, you and anyone else in the house will know where they are. If, for some reason you do not like this idea, then make sure they are kept out of sight of any windows and close enough to the door to be easily grabbed in the instance of a fire. For those of you who are insistent on leaving your keys in the lock, if you turn your key past the point of locking the door and leave it as far as it will go it will not easily come out of the keyhole. Very efficient and professional tradesman. Offered to quote me the job free of charge and offered very competitive rates. Good communication and arrived on time on both occasions. He also tightened up my door hinges as my door was catching slightly which was outside of expectation. Would recommend to anyone. Well what can you say can’t praise GPM Locks enough,arrived on time very efficient, pleasant and the job was done with no mess and no fuss,very helpful a pleasure to do business with.Would definitely recommend them to everyone. Can’t praise them highly enough. They were extremely professional, arrived when they said they would, and got the job done very quickly and efficiently. Very competitively priced too. Please don’t hesitate to use this company.